This past weekend, I went through one of my 16 month old's closets (she has two in her room). 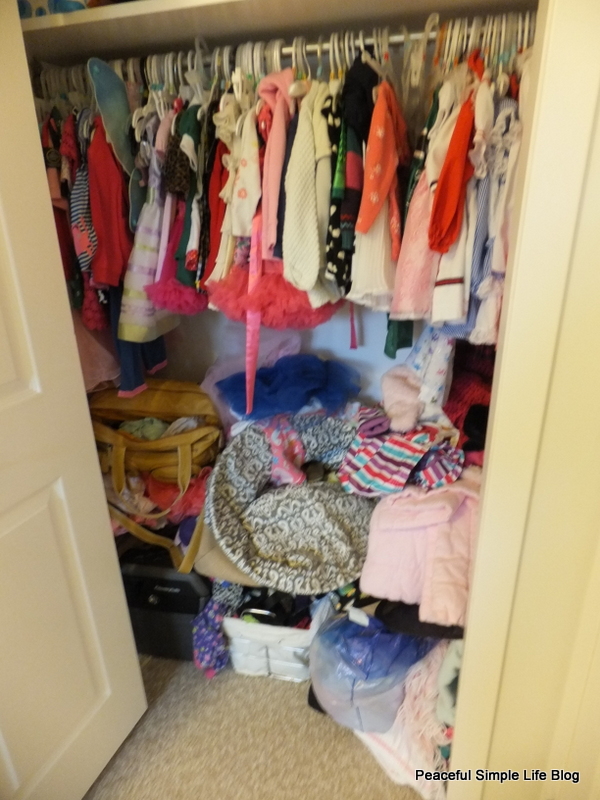 This closet has been begging for attention for months, but I simply haven't had time. I tackled it this weekend and it looks so much better. 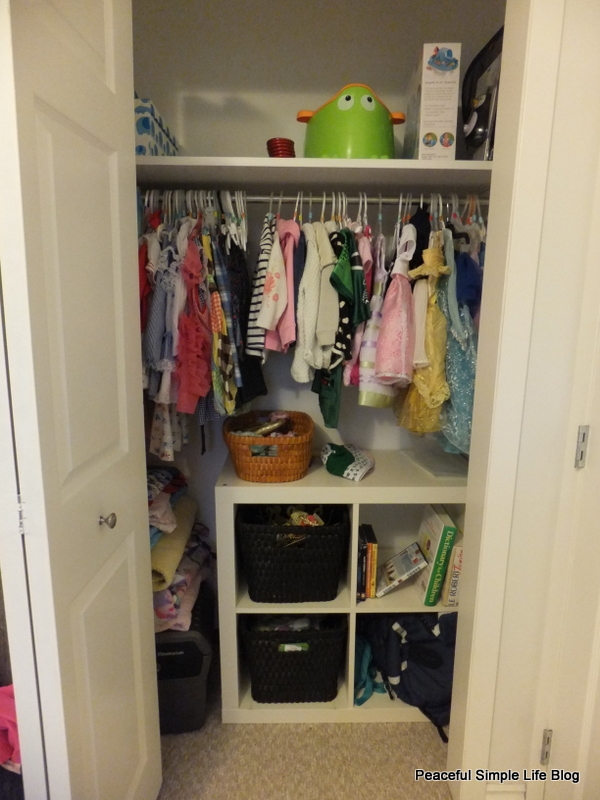 This closet had become a closet where you open the door, toss the item in and then run away. 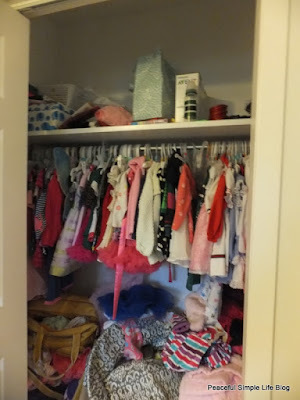 It was full of clothes that she had outgrown, gifts from her birthday that I hadn't found a home for and other miscellaneous items. 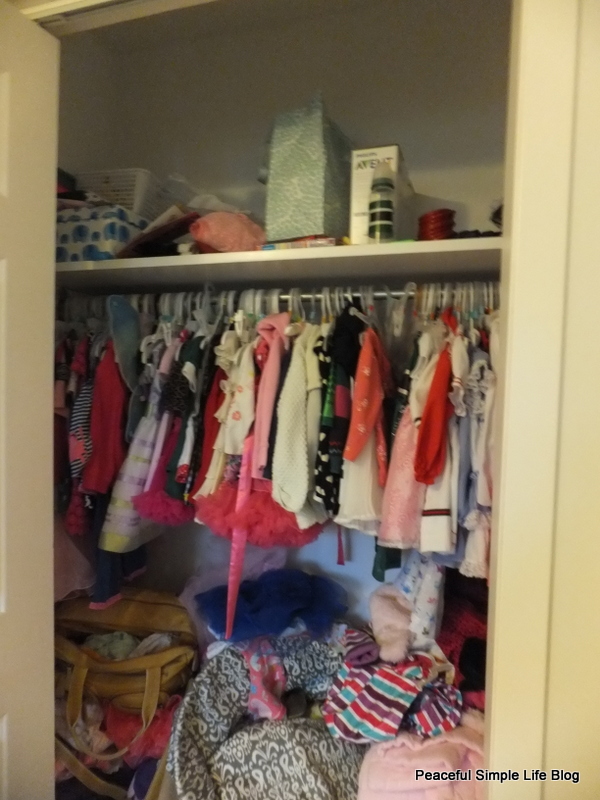 I pulled out all the clothes that she had outgrown and set them aside. I will do a future blog post on her clothes. Oh my goodness. If anything needs paring down, it is the clothes that I have decided to keep for any future children. I got rid of fifty hangers, which were not needed. 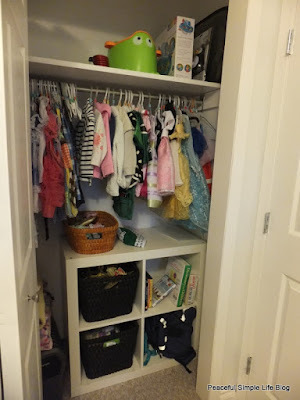 I designated a spot for play clothes and other items that she is still to young to play with. I donated several items that are no longer in use and that I don't want to hang on to. I moved a four cube organizer into the closet. 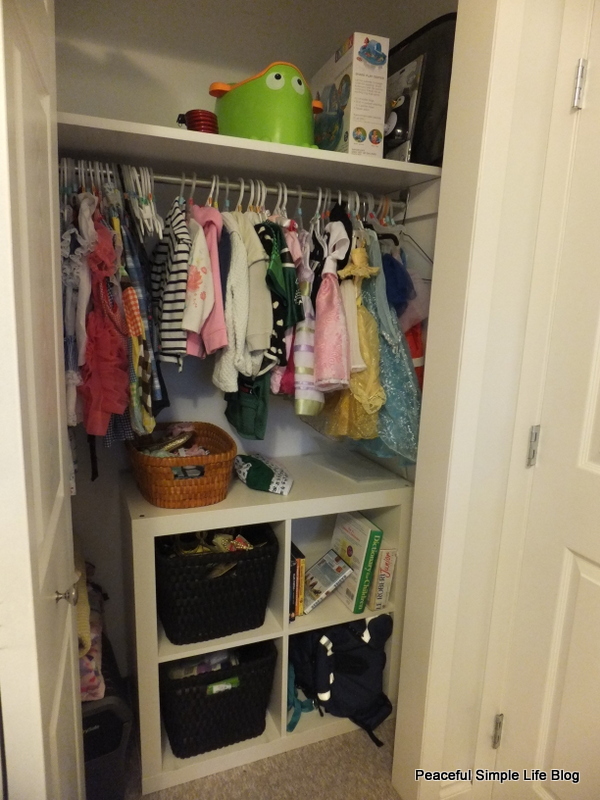 It had originally been sitting out in the room, but I felt like it would be far more useful in the closet. I was right. The closet looks so much better, now! It is functional and also kind of pretty. I love not feeling shame when I open the door to it! Ha ha! Have a great week! Wow! You cleaned out that closet really well! Great job! Have a happy Monday! Wardrobe Wednesday- Fall Capsule Wardrobe Reveal!